Once a year the folks of the Clayoquot Island Preserve extend a very special invitation to the people of Tofino. It is the weekend that they open up their island to visitors. It’s a very special experience to get to spend an afternoon wandering the beaches, forest boardwalks and the extensive gardens of this 25-acre jewel. The island is a fantastic example of how people can live a life that is off the power grid and nourished by the land and sea. The island’s pioneer gardens have been extensively restored and enhanced from their early beginnings with the loving care of gardener Sharon Whalen. 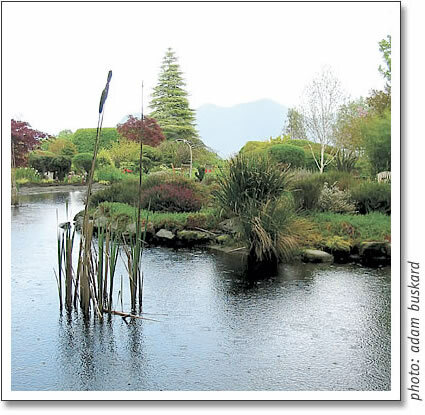 A walk through the gardens of the island is a walk through the history of Clayoquot Sound itself. This year the island will be open to visitors on the May Long Weekend on Saturday May 21, 2011 and Sunday 22, 2011 from 12 – 6pm. Clayoquot Island aka. “Stubbs Island” sits off of Tofino directly to the west by a mile or so. Boat transportation is provided free of charge from the 1st street government dock and from Method Marine. Come prepared for the boat ride, bring a picnic and please leave your pets at home. 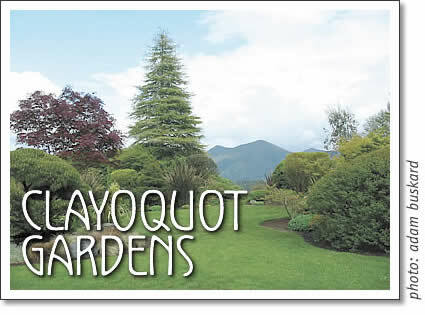 Open house at Clayoquot Island - Once a year, on the May long weekend, the Clayoquot Island Preserve extends an invitation to the people of Tofino. Clayoquot Island open house - On the May long weekend (May 21 & 22, 2011), the Clayoquot Island Preserve extends an invitation to the people of Tofino.